RestorationMaster has been a trusted provider of disaster restoration and cleaning services to homes and businesses in Broken Arrow, OK as well as the surrounding counties of Tulsa, Creek, Craig, Mayes, Nowata, Osage, Rogers, Wagoner, and Washington for over 16 years. The technicians of RestorationMaster are highly trained with ASD, QRV, IICRC, and Lead Abatement certification and we are dedicated to responding to emergencies in Broken Arrow, OK 24 hours a day. Our main services include fire and smoke damage restoration, water damage cleanup, mold removal, carpet cleaning, and trauma cleaning. We have responded to several local large losses and helped with the restoration effort including the Goodard School, Bethel Baptist Church, MBO, McDonald’s, and Circle of Care. We can be reached at (918) 932-1333 any time 24 hours a day for restoration and cleaning services in Broken Arrow, OK and we provide free estimates for each of our services. 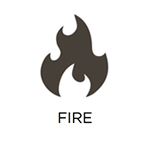 Fires are one of the most destructive disasters that can happen to a home or building as the smoke and flames can each cause different types of damage within a building. Once the flames are extinguished, the soot and corrosive byproducts can continue to cause further damage which can quickly become permanent without the proper response. 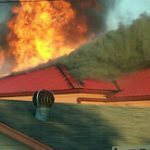 RestorationMaster provides fire and smoke damage restoration services in Broken Arrow, OK to help restore and repair homes and buildings that have been damaged in a fire. We respond quickly to help limit and prevent permanent damage and restore your home or building to get your life back on track. 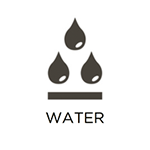 Few problems are more common than water damage within a home or building and it can be caused by a range of factors such as leaks in pipes or fixtures, rain, floods, and sewage backups. While water damage can start out small, it can spread by becoming absorbed in the building materials and cause more extensive damage or mold growth if it is not addressed. RestorationMaster provides water damage cleanup services in Broken Arrow, OK to restore homes and businesses affected by water damage. We can effectively remove all excess water from the building and dry the furnishings and structural elements with our advanced drying procedures. The carpet makes up a large part of the look of a room and it is used more than most furnishings with the daily foot traffic it experiences. However, the carpet does not always receive adequate cleaning or maintenance as the dirt and dust from the foot traffic accumulates within the carpet fibers. 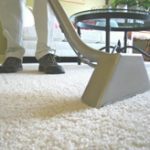 RestorationMaster provides professional carpet cleaning services for homes and businesses in Broken Arrow, OK to clean and restore the carpet. We can remove deeply embedded dirt and debris as well as many types of stains to restore the appearance of the carpet and help prolong its life. The appearance of your office or workspace says a lot about your company which makes it important to keep this space clean and well maintained. One of the most effective ways to improve the cleanliness and appearance of a commercial space is with professional carpet cleaning services. RestorationMaster provides commercial carpet cleaning services for businesses in Broken Arrow, OK. We can effectively clean all types of commercial carpeting using our advanced cleaning products and equipment. 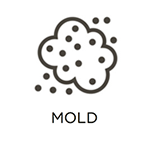 The appearance of mold growth in a home or building should be alarming as mold growth can spread and cause significant damage as well as health issues if left unchecked. All it takes is enough moisture and a surface for mold to start growing and it will continue to spread if the conditions persist. RestorationMaster provides mold removal services to homes and businesses in Broken Arrow, OK to remove mold and repair the moisture source to prevent future growth. We will keep the mold confined to the affected area of the building as we work and either repair or replace the surfaces that were damaged by mold. Many people are familiar with the behaviors of a hoarder but not everyone fully understands the potential consequences of these behaviors. 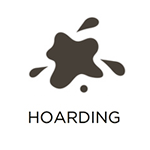 Hoarding is a mental disorder with a high level of anxiety that causes the affected individual to become incapable of throwing anything away. As a result, a hoard of items builds in the home that can create unsafe living conditions. 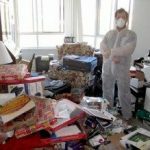 RestorationMaster provides hoarding cleanup services in Broken Arrow, OK to remove hoarded items as well as clean and sanitize the home. We use the best cleaning products and equipment available to effectively restore the home and we make sure the affected individual participates in the process. The scene of a violent crime may be disturbing to encounter, and it is also very dangerous. These scenes typically contain blood and other biohazard materials that consist of disease causing agents. 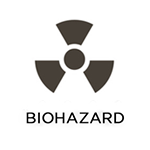 It takes a licensed professional to remove biohazard materials safely while reducing the risk of infection or disease. RestorationMaster provides crime scene cleaning services in Broken Arrow, OK to cleanup biohazard materials and restore the scene to a safe condition. Our technicians will thoroughly clean and disinfect the scene and we are sensitive to the emotions involved if a family member or loved one has been lost. Sometimes we may have to deal with traumatic situations such as death or serious injury and when these situations occur, knowing how to react is important. Biohazard materials that are often encountered in trauma scenes including blood and bodily fluids could have harmful toxins in them, making them dangerous to handle without specialized training. RestorationMaster provides trauma scene cleaning services to clean and sanitize scenes involving serious injury or death. Our technicians have the specialized training to clean up and remove biohazard materials and we work with a sense of compassion and sensitivity to help you cope with a difficult situation.